Lisa also completed a four year degree in Acupuncture at the College of Integrated Chinese Medicine in Reading commencing in 2004. The college is a Centre of Excellence for Chinese Medicine in the UK.The degree combined studying Traditional Chinese Medicine (TCM) and Five Element theory alongside conventional medical sciences, anatomy and physiology. 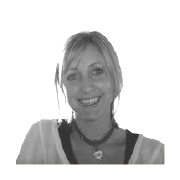 Lisa also has training in Tui Na (chinese massage), and is an Anusara inspired yoga teacher. This has given her a thorough knowledge of anatomy and biomechanics and she often incorporates this knowledge into diagnosis and treatment. Lisa is an enthusiastic and committed practitioner and believes in an integrated and holistic approach to health and medicine. She is committed to regular ongoing supervision and post-graduate training in order to further her development as an acupuncturist. She has completed post graduate training in Obstetrics and the use of acupuncture during pregnancy.